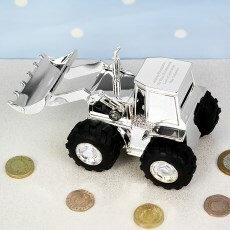 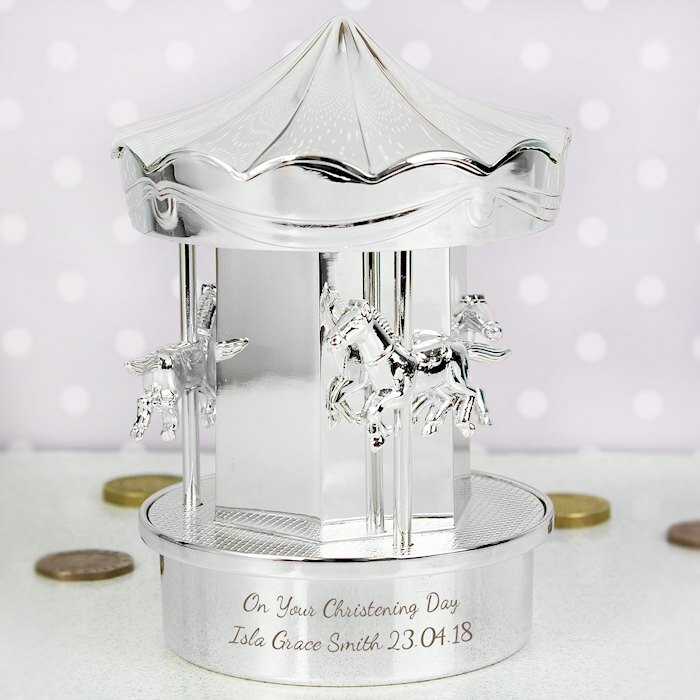 This silver plated carousel moneybox is a great way to help teach little ones how to save their money. 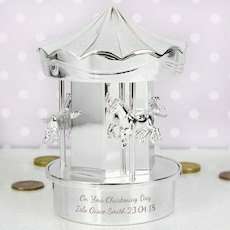 The horses on this beautiful money box actually move up and down when you turn the carousel around. 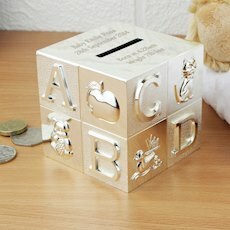 The money box is silver plated. 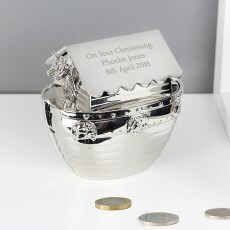 A perfect gift for Christenings and Birthdays. 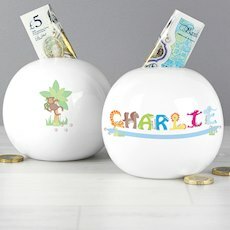 To ensure that your text is vertically centred, as shown in the picture on this page, we advise that you use all available lines of text when placing your order. 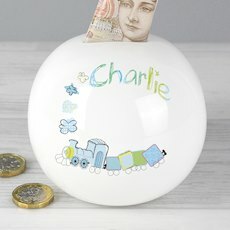 Beautiful gift, matched the description well. 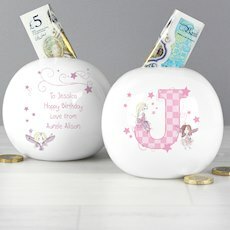 Ideal present for our first granddaughter which was engraved as a memory for her.